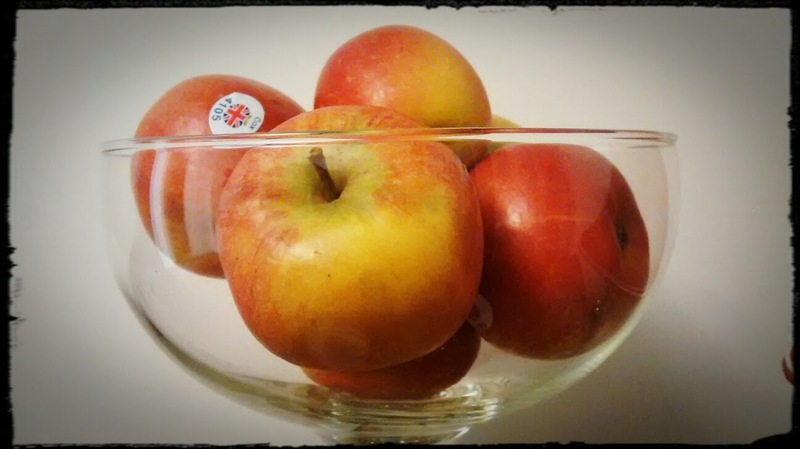 Apples are a good source of pectin, a soluble form of dietary fibre. Carbohydrate foods are popular amongst dieters. This popularity stems from the perception that low fat foods are healthy. Many dieters spend time assessing the fat content of their carbohydrate foods and make selections based on this criteria. In fact most are happy to consume cakes and biscuits so long as the fat content is low. This is based on the erroneous assumption that foods without fat do not cause weight gain and are therefore able to cause weight loss. Carbohydrate can easily be converted to fat in the body. The process is called de novo lipogenesis, literally the synthesis of new fat (from carbohydrate). The process of converting carbohydrate to fat is actually what causes most people to get fat. This is especially true if large amounts of refined carbohydrates are eaten. Refined carbohydrates flood the liver with nutrients and lead to liver overload syndrome. This causes fatty liver and the development of belly fat. Slowing the rate of carbohydrate digestion goes some way to limiting the exposure of the liver to huge quantities of food. In nature, starch (digestible carbohydrate) is usually present with dietary fibre (indigestible carbohydrate). In plant foods, dietary fibre tends to encapsulate the starch, usually in a grain, seed or skin. The dietary fibre to starch ratio in your diet should therefore reflect this natural ratio of carbohydrate (starch) to dietary fibre. How Does Dietary Fibre Slow Digestion? Dietary fibre can slow the absorption of starch in two ways. Firstly, dietary fibre in cell walls, seed coats and skins prevents the digestive enzymes reaching the starch. Sequestering the starch in a tough outer coat is natures way of ensuring the plants food contained within (which is what starch is) is protected from the environment and predators. Secondly, soluble dietary fibre can form a gel within the intestine when mixed with water. This forms a physical barrier to absorption. If you a serious about losing weight it is imperative that you look at the dietary fibre content of foods. If a carbohydrate food is low in fibre then put it back on the shelf and move on. Whole grains, legumes, fruit and vegetables all contain high amounts of dietary fibre and are healthy foods. Cakes, biscuits, white bread, most breakfast cereals, and pretty much any carbohydrate food you can buy as a snack will contain virtually no fibre and will therefore cause you to get fat. Studies show that dietary fibre in supplemental form is not as effective as the fibre present in foods. This is because for fibre to be effective it needs to surround the starch in a seed, grain or skin. Eating junk refined carbohydrates and taking a fibre supplement therefore doesn’t make the cut. The fibre in oats and legumes consistently shows beneficial effects as slowing starch digestion rates. This explains the weight loss effects of these foods as shown in many studies.